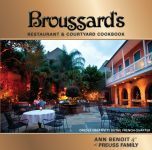 All of the recipes contained in this volume are Creole favorites and standbys, including okra soup, parsnip fritters, onion custard, boiled trout, stuffed eggplants, bewitched beef, and fried tomatoes. Over 150 cake recipes exemplify the Southern sweet tooth, and there are ample recipes for shellfish, puddings, meats, preserves, ices, breads, pickles, and more. 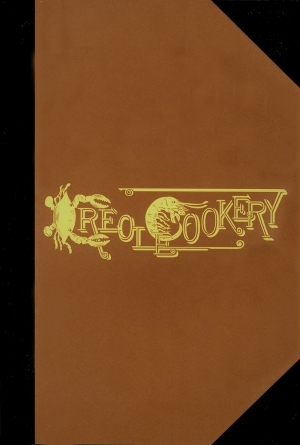 To read this recipe book is to step back in time and delight in the language, attitudes, and customs of the late-nineteenth century and to appreciate the dedication of the members of the Woman’s Exchange in compiling such a comprehensive volume. This reprint is a joint project of the Hermann-Grima/Gallier Historic Houses and the Historic New Orleans Collection. Founded in 1881 to help women in need, the Woman’s Exchange has been a vital part of New Orleans throughout its history. Its raison d’etre, then and now, has been to serve the community. Later, they changed their mission to reflect education and historic preservation. In the 1960s they transformed the Hermann-Grima House from a boarding house into a museum dedicated to illustrating life in the “Golden Age” of New Orleans. In 1996, the organization acquired the home of famed architect James Gallier, Jr. The Hermann-Grima and Gallier Historic Houses are committed to research, education, and the preservation of New Orleans’ culture.